The Yokohama Geolandar A/T G015 all-terrain tires have an aggressive design and smooth ride that is at home both on and off-road. 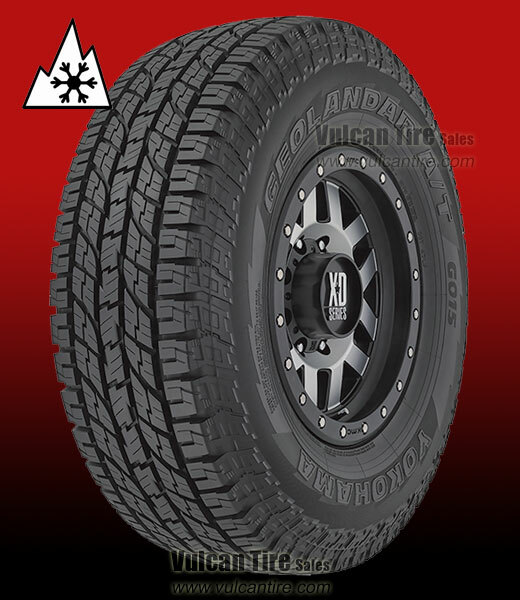 In addition, Yokohama's Enduro Compound and 3D sipes allow the Geolandar A/T G015 to earn the Sever Service Symbol, making it legally considered a winter tire. This tire packs the absolute latest in technology to deliver long, even treadwear. Featuring an extensive size line-up, the Geolandar A/T G015, and its powerful on/off-road performance, can be experienced across a broad range of applications.